Many people around the world rely on cash crops to create extra income for their families. During the dry season, shallow wells and drought are challenges that reduce crop yield – and extra income. In order to produce a bountiful harvest during this season, farmers rely on pump irrigation to keep the water flowing. The only problem is that pumps can be costly to buy and to maintain – so the folks at International Development Enterprises (iDE) developed SunWater, an affordable water pump system that uses the power of the sun. Over a billion people on the planet live on $2 or less a day, so cash crops – or crops that are grown beyond what is needed for sustenance – are a good way for poor farmers to raise extra money. In order to have reliable water for the crops, though, a pump system is necessary. Traditionally, pump options have included diesel or electric. But diesel pumps are expensive to run and maintain, while electric pumps rely on the power grid, which may not always be reliable in some parts of the world. 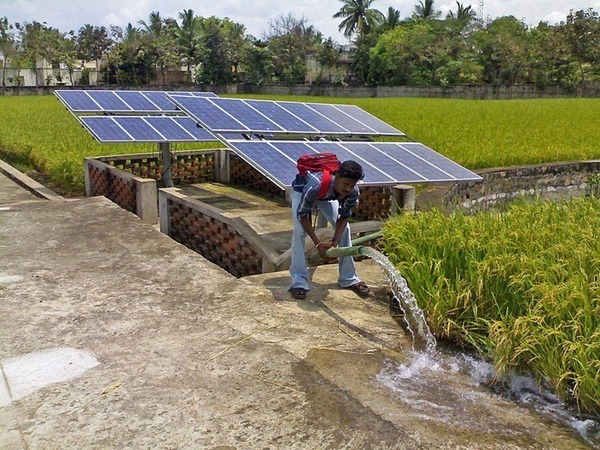 SunWater seeks to provide relief from the pump conundrum by providing affordable solar pumps to farmers, which will allow them to increase their income earnings by providing a reliable water resource all year ‘round. Each pump will cost only $2,900, including well drilling, water storage and the pump. 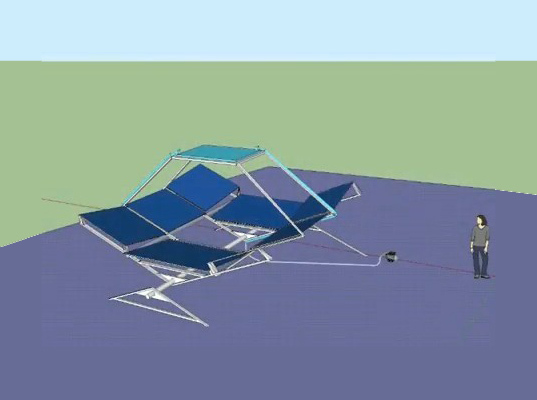 After the initial investment, there is no fuel cost because the system uses solar panels built right in to generate power. Right now SunWater is still in the funding and testing phase and iDE is asking for support from individuals to help make this dream become a reality for farmers around the world. Many people around the world rely on cash crops to create extra income for their families. During the dry season, shallow wells and drought are challenges that reduce crop yield - and extra income. In order to produce a bountiful harvest during this season, farmers rely on pump irrigation to keep the water flowing. The only problem is that pumps can be costly to buy and to maintain - so the folks at International Development Enterprises (iDE) developed SunWater, an affordable water pump system that uses the power of the sun.